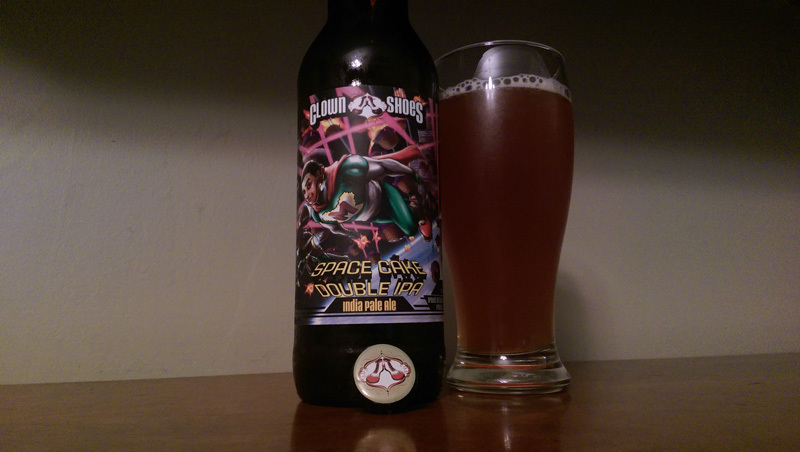 Beer Profile: Clown Shoes Space Cake Double IPA – Food. Beer. Stuff. Laser shooting cupcakes. Do I need to say anything else? I admit it, I’m a sucker for bottle art. Like books and their covers you can’t judge a beer by its label but you sure as heck can buy it because of the label. 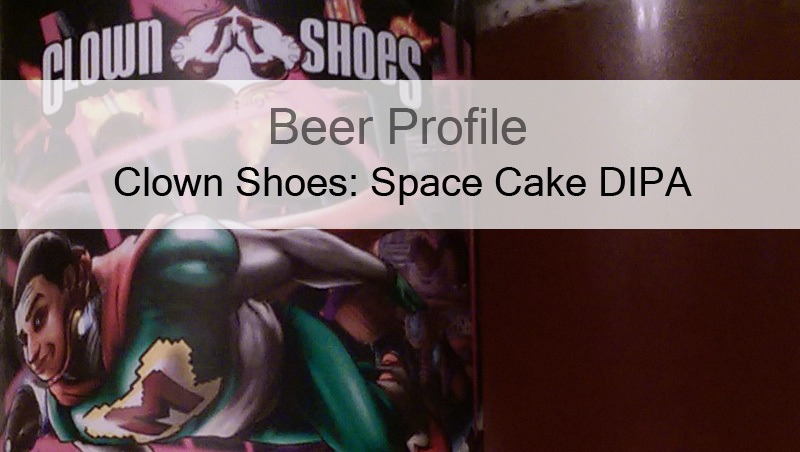 Clowns Shoes limited release beer Space Cake is just that kind of beer, featuring Miracle Mike of Clown Shoes Minor Miracle Fund, with his faithful companion Bionic the dog. Why are Miracle Mike and his dog Bionic being chased by many evil laser beam shooting cupcakes and two giant layer cake motherships? Because we’re straight up lunatic fools? Well, maybe but with a few brain cells remaining we managed to craft Space Cake Double IPA. Utilizing citrusy mosaic hops and an immaculate west coast style malt backbone. Dude… Chill out. Enjoy some Space Cake. Ok, maybe I still have no idea what is going on but the label did its job, I bought the beer so lets go ahead and give it a drink. Wow, just smell that. My subconscious makes me drool like a Pavlov dog with a very present hop aroma. Mosaic, being bred from a Nugget male and a Simcoe female has a very unique floral and citrus profile that is begging me to give this beer a try. Pouring a deep amber, Space Cake is nearly a red IPA, letting me know that the cake in the name may just refer to a crystal malt backbone. 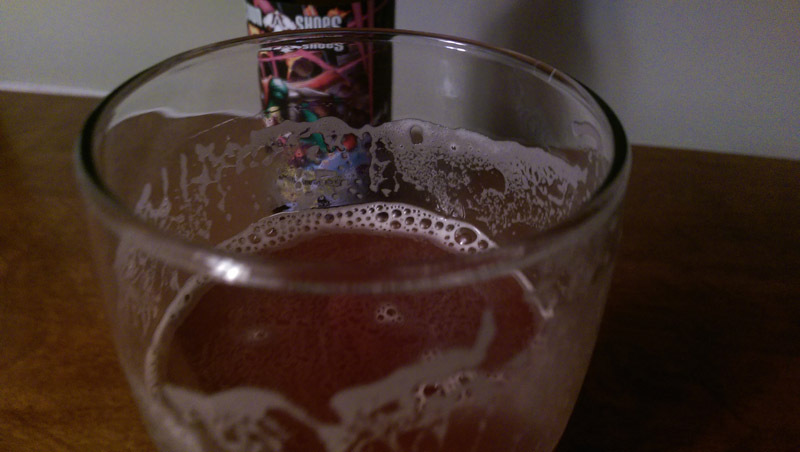 The head is billowing but subdued with a carbonation that seems dead on for the style. Help us Miracle Mike, your our only hope. 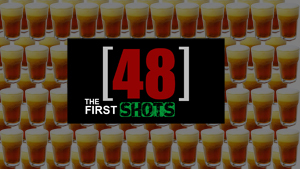 Hot damn, that is really good. The first taste I put my finger on is some very apparent sweetness coming from the malts but that is soon replaced with a hoppy, fruity back-end. Aromas still rush from the glass playing their part wonderfully to keep the malts from being too cloying. I waste no time drinking my glass down halfway and pour the rest of the 22 bottle. With this I am rewarded with another round of hoppy aromas from the newly created head. It is probably worth mentioning that Space Cake is a big beer at 9%ABV so I am finding this to give off a nice buzz with the quick imbibe. Taking my time now as the beer gets up to the perfect temperature this complex beer continues to impress. I’m usually just not that into sweeter IPA’s but Space Cake really sets the standard for the right balance to the style. It is sweet for sure but no where near overly so. The finish is clean and crisp with just the right amount of bitter to keep an IPA lover happy. Maybe now it makes more sense why Miracle Mike is fighting evil laser shooting cupcakes. If I try to read too much into it I can say that Miracle Mike and Bionic stand for Hops and the Evil Cupcakes are the crystal malts locked in a death struggle of beer balance. Well that or just maybe a brewer that calls themselves Clown Shoes doesn’t mind being a bit silly. Whatever the case, Space Cake is without a doubt a top brew. Showing off what a great brewer can do with their free time. I suggest you give Space Cake a try before it is gone forever. Did you get your hands on Space Cake? What did you think? Don’t be shy, leave me a comment below.